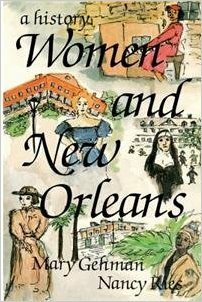 New Orleans women's contributions to the worlds of education, religion, art, medicine, preservation, politics, law, literature, social services, civil rights, etc. are explored in this comprehensive yet easy to read volume. Mentioned and pictured are women of various races and social classes, from slaves to free women of color to society club women. Lots of photographs. Includes an index and References for Further Reading page. This book is a major addition to documenting southern and U.S. women's history.